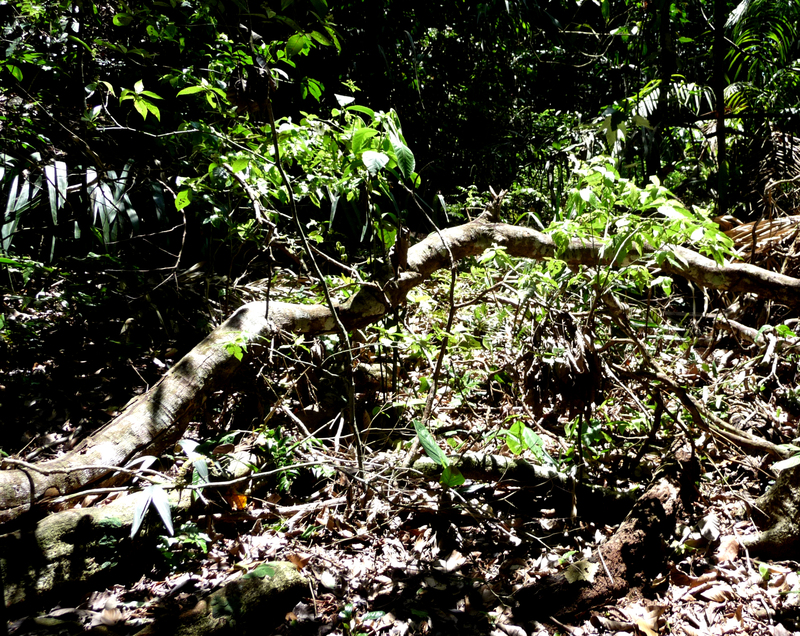 This is the scene of the drawing- a fallen branch along a pathway on Barro Colorado Island, Panama. It made a clearing where light could reach the seedlings beneath. They will grab a little sun and finally grow up to be trees. Saplings in the understory stay short for decades before they get lucky, if they do. Falling branches (and trees) are fairly common events in the rainforest. Wearing a hardhat in the jungle isn’t a bad idea. If a branch falls and someone (like, me) is around to record it, does it make a sound? You be the judge.